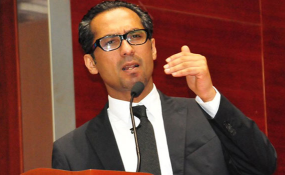 Dar es Salaam — A sigh of relief has greeted the release of Africa's youngest billionaire Mohammed Dewji , who was abducted 11 days ago and later found dumped in the wee hours of the night at the Gymkhana Club grounds in the city. However, his disappearance and return have set tongues wagging. In a footage showing a tired-looking Mo as he is famously known, he thanked President John Magufuli and police for playing a role in his safe return. Tanzanians from all walks of life took to social media yesterday even with more questions on the abduction and later release of Mr Dewji. Questions surrounded the possibility of releasing him at the Gymkhana Club grounds, which are only a stone's throw away from highly guarded areas in the city; the manner in which Mo was reportedly dumped; and, how the unknown abductors vacated. Tanzanian activist Maria Sarungi, who runs an online campaign dubbed, "Change Tanzania" says she has been intrigued by one of her followers, who wanted to know how abductors would 'simply' dump Dewji at a location close to State House, key government and diplomatic offices, and leave. "How did they [the abductors] leave, by Uber (taxi)?" she wrote in Kiswahili on her twitter account. Ms Sarungi is among several people who reacted on 'the return' of Mo Dewji, the 43-year-old CEO of a family conglomerate MeTL Group. Mr January Makamba, a cabinet minister responsible for Union Affairs and Environment, said he visited Mr Dewji and saw signs--on arms and legs--of how he had been cuffed and later dumped. "I believe police would issue more details on what transpired," he wrote on twitter, in Kiswahili. Social media user Webiro N Wassira said: "I think the one who abducted Mo Dewji is either over-confident or not of a sound mind. How could this person abduct Mo, and dump him so close to the Vice President and Prime Minister's offices and the headquarters of the country's intelligence? We need to revise our security systems kama nchi [of our country]". Popular actor and comedian Idris Sultan said on twitter, this [incident] has helped "... to know your enemies and friends. Nothing can stop us now. I don't know if it's the right time to ask, but, is it Sirro who will get the money [the Sh1 billion that had been pledged by the family for whoever would furnish information that was to help in finding Dewji]?." Mr Godbless Lema, Shadow Home Affairs Minister and MP on Chadema ticket, had announced earlier that he would hold a press conference yesterday and brief reporters on his stance on the abduction, however, he called it off. "I have called off the press conference, as I await to see part II of this incident. I leave this to IGP Simon Sirro, for now. I will inform you [the media] where and when we will meet," he wrote on twitter. Other politicians, such as ACT Wazalendo Party leader Zitto Kabwe went on to express their delight for Mo's safe return. Dar es Salaam police boss Lazaro Mambosasa told The Citizen that he had already spoken to Dewji, who had told him that his abductors communicated in an African language, likely from South Africa. However, later during the day, the Inspector General of Police Simon Sirro told journalists in Dar es Salaam that the abductors spoke "broken Kiswahili and English." Mr Sirro didn't name the origin of the suspected abductors. Social media user Given Edward @GIVENALITY, wrote: "They made him do a press event immediately from being released. That was just messed up. Putting PR over his well-being." Last week, Mo Dewji was seized by unknown abductors as he arrived for a morning workout at a city hotel. Yesterday morning METL Group quoted Mo Dewji as saying on its Twitter feed, without providing more details about how he was freed or got away from his captors, "I have returned home safely." Dewji's family had offered a Sh1 billion ($440,000) reward for information leading to his release.